Kinshasa 11-02-2019 Politics - Unhappy candidate of the Lamuka coalition in the presidential election of December 30, 2018, the 2nd in the presidential election with 34.8% of the vote, Martin Fayulu Madidi has trouble to be controlled by himself. At the same time the congratulations to Felix Tshisekedi are coming from everywhere. In Addis Ababa, Ethiopia, Martin Fayulu Madidi has just received another defeat against Felix Antoine Tshisekedi Tshilombo, confirmed winner of the presidential election of 30 December 2018 by the Constitutional Court. 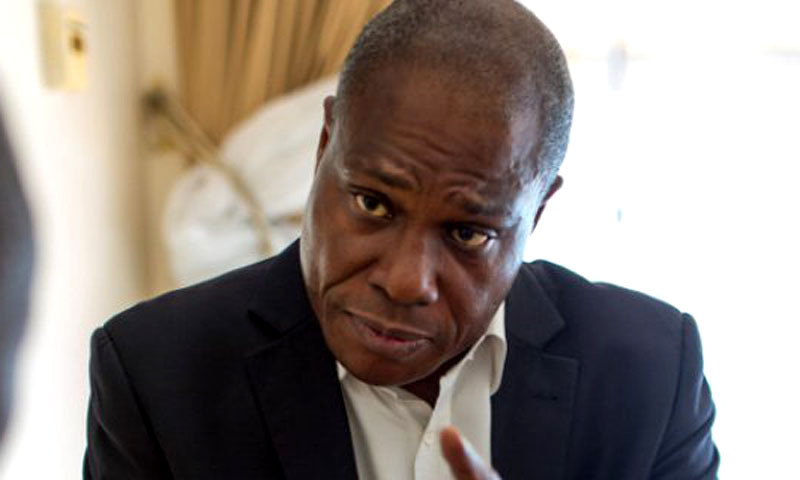 During the first round in front of the Constitutional Court, Fayulu, who claims to have won the presidential election, was dismissed, for lack of sufficient evidence to support the allegations of his coronation. The second was initiated and programmed by Fayulu into the Union of the Union in Addis Ababa. At the African Court of Human and Peoples' Rights, he attacked his fugitive Felix Tshisekedi hoping to be "restored to his original position as President of the Republic". All his dream of "triumphing the truth of the poll" rested now on the AU, from where Fayulu was waiting to win his case. The same African Union -AU-, following 32nd session of the Conference of Heads of State and Government, one saw on Sunday, February 10, 2019, President Félix AntoineTshisekedi Tshilombo take possession of the chair of the organization's second vice-president at the following his election, made possible by the massive support of Central Africa. This election, one analyzes, is synonymous with the dubbing of Fatshi by his fellow presidents. The latter placed their trust in Fatshi, who, within 17 days of taking over the highest office of DR Congo, joined the AU office to make a career there. Career because the DR-Congolese President will occupy in 2020 the chair of deputy president then president in 2021. This election sounds the death knell if not the second defeat inflicted on Lamuka's candidate. Martin Fayulu has lost everything. The doors of the AU are now closed to him. In the wake of this widely commented news, the Martin Fayulu meeting scheduled for this Sunday, February 10, 2019 has been postponed. The postponement of this meeting makes the other meeting scheduled for Friday, February 15, 2019 at Afya Stadium in the city of Goma.